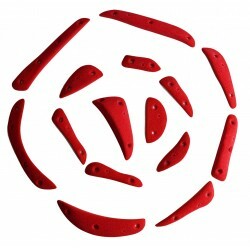 10 Screw on holds with a new texture. 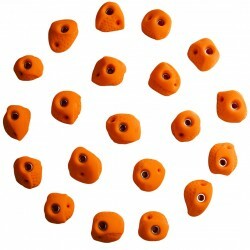 20 XS holds, golf ball style shapes. 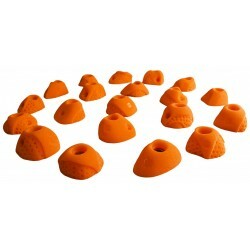 Mini pinches or footholds. M10 Allen bolt and anti-spin woodscrews. 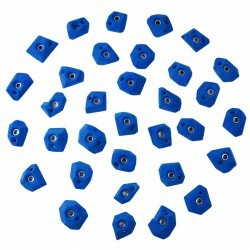 11 shapes in this set. 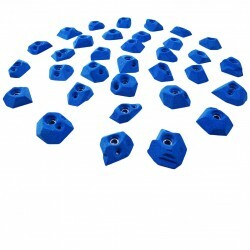 Size Extra Small.These are the DUAL TEXTURE version of the Water Drops. 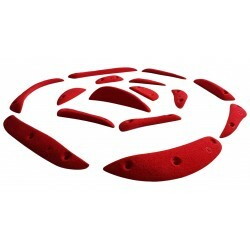 The screw-on foot holds in this set were exquisitely designed and carved by Ferran Guerrero for Alamo climbing, very similar to the 13XS set but with added slippery zone for extra difficulty on competitions and or your general gym setting.